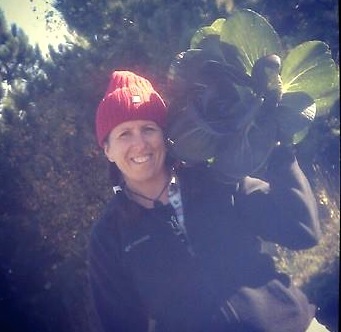 This is the fifth post in a SGT series that looks at CSA -- community supported agriculture -- from the farmer's perspective. Also check out earlier posts: Adventures in Farming, Managing Expectations, Crop Planning, and Add-On Partnerships. In a CSA, farmer-to-member communications can take many forms. Some farms include a printed letter tucked inside every box of vegetables, letting members know what they're getting and how operations have been on the farm that week. 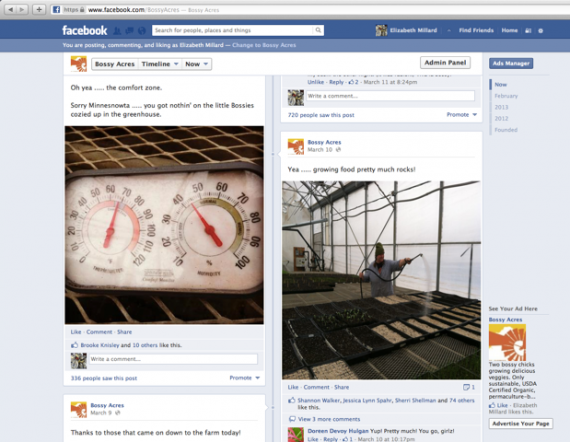 Other farms might create an email letter with links to recipes, photos of the farm, and thoughts on the weather. Either electronic or printed, a CSA update will vary in terms of communication frequency, from a once-per-month update to a continuous stream of information. At Bossy Acres, we definitely fall into the latter category. In early February, just after our CSA sold out, we were in the midst of determining what we would be growing this coming season. Both my partner, Karla Pankow, and I have our favorites (I'm partial to watermelon radishes, for example, while she loves growing a couple dozen types of hot peppers), but we wanted to include our members in the decision-making process, too. Using Survey Monkey, an online survey tool that allows you to ask a handful of questions for free, Karla crafted an extensive questionnaire about what members like in terms of produce, and how much they tend to eat in a typical week. This helped us to tweak our planting mix to reflect member preferences. We were also able to convey to members that the farm is a shared adventure, and that we'd do our best to hew close to what members want while still delivering a nice diversity of vegetables. As a way to keep members informed about the crucial greenhouse and early planting time, we send out two pre-season newsletters in April and May. In these communications, we let members know about how starts are progressing in the greenhouse and give them a calendar of important dates ahead, like our in-person, pre-season meetup. 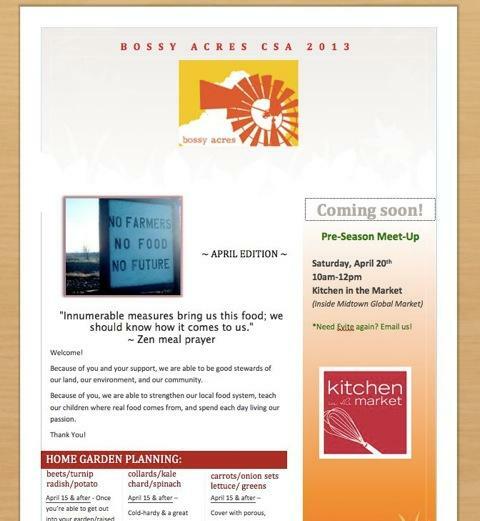 In addition to covering Bossy Acres news, these newsletters also provide at-home gardening tips so they can augment their CSA boxes with vegetables of their own. Many of our members have small home gardens and often ask us for advice on mulching, planting, compost, and other issues, so providing tips to everyone is a nice way to connect the gardeners together. Last year, our newsletters consisted of text-only emails that gave news, recipes, and a list of what was in that week's CSA box. This year, Karla is giving that communication a new look that will make the newsletters more friendly and accessible (pictured at top). 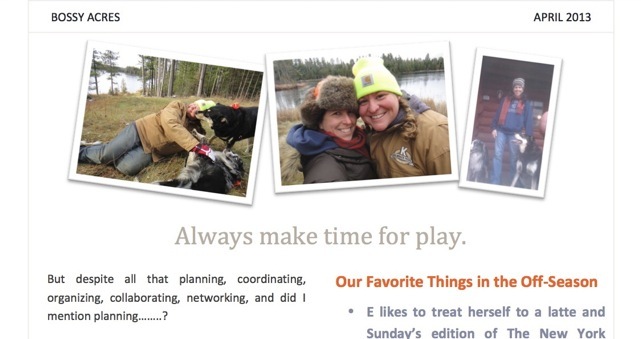 In addition to a farm report, the newsletters will list farm events, volunteer opportunities, storage tips, and of course, plenty of photos of the farm. This year, a major boost to the newsletters and online communication will come in the form of recipe ideas from a food writer/blogger. We're still in the process of choosing a writer (if you want to apply, check out the ad here), and we're excited about creating a partnership where our members and online followers can get some fresh ideas for yummy dishes. With our members and those who follow us online, we try to show that farming is truly a year-round enterprise. When we're not out in the fields during the growing and harvesting season, there are conferences, webinars, farm planning, and spreadsheets galore that take up our time. Keeping in touch with members through Facebook, Twitter, and Instagram helps to maintain our connections. This year, we'll also be doing more videos and posting them on YouTube. Staying in touch via social media, emails, and newsletters is crucial for our farm, but there's nothing like seeing our members in person. Our big pre-season event is a member meetup where we talk about the logistics for the season ahead, and introduce our add-on partners, but we also just mingle with new and established members. This year, we'll be having farm events for members and more weekend volunteer days, so members can get even closer to their food. It's tough to get more in-touch with your food source than pulling up your own beets or chopping your own kale to eat just a few hours later. We place a premium on communication because staying in touch with members provides benefits on both sides. We get to share our love for farming, local food, and delicious fruits and vegetables, and members are reminded that they're truly a part of the farm. They're not customers to us, they're our members, and this level of communication emphasizes that relationship. In the next installment of Behind the CSA Box, I'll cover how members benefit from their own pre-season planning, to make sure all those luscious vegetables get to the table, not to the trash. Until then, stay warm and stay bossy!